An earring could be a powerful accessory for a pirate. Some believed the precious metal might enhance their sight, while for others, it was a clever way to keep some plunder on hand at all times. Either way, it was also a key element in a pirates chosen style too! 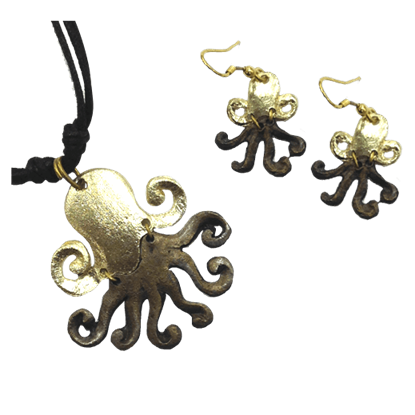 We carry a number of fine pirate and nautical earrings that draw inspiration from the Age of the Sail as well as the Golden Age of Piracy. 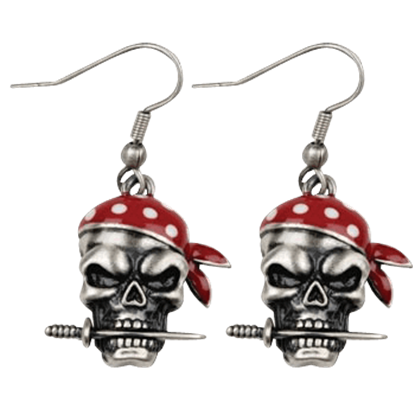 Perhaps the most iconic symbol of piracy is the Jolly Roger with a skull and crossbones, and thus some of our most popular earrings are the ones that recreate this classic image in gleaming sterling silver. 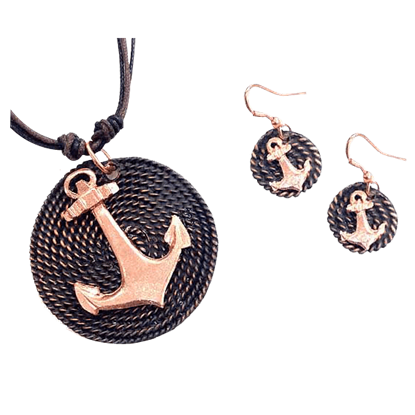 We also carry various other earrings that sport pirate or nautical designs, including flintlock pirate pistol earrings and ship anchor earrings. And for the pirate who likes to keep her booty close at hand, nothing beats wearing some pieces of eight, left to dangle elegantly above your shoulders! 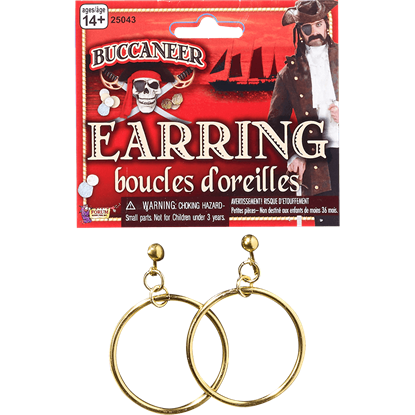 Of course, we try to carry pirate earrings for both men and women, ensuring that every pirate who pays a visit to this section can walk away with a fine earring or two that perfectly suits their own pirate-y style and look. 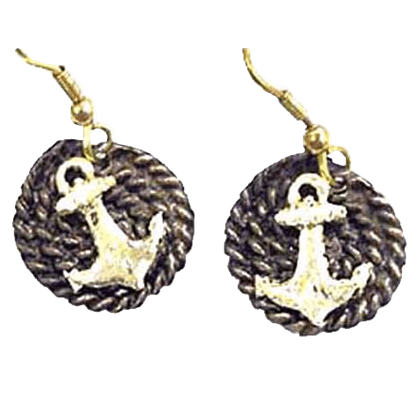 You will never be too far from the freedom of the sea while wearing the remarkable Brass Anchor Earrings. 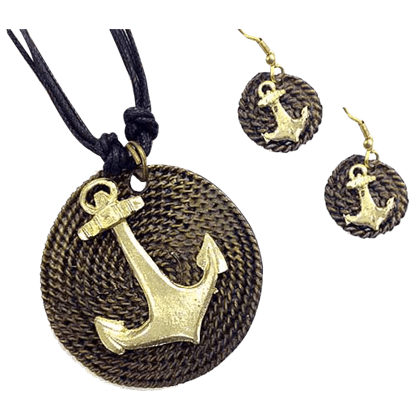 This extraordinary set will set you apart from everyone in the room when you confidently model this nautical accent. This pair of props includes two of the most common pirate accessories known to man. 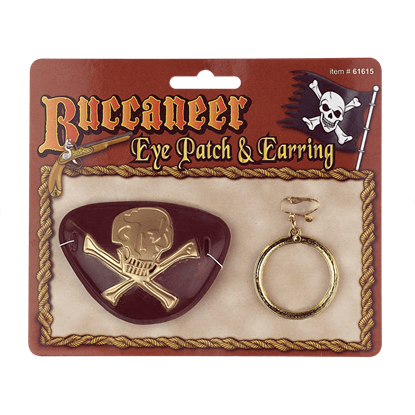 The Buccaneer Eye Patch and Earring set consists of an eye patch that features great pirate style, as well as a large, gold-colored loop earring. It may not be a chest filled with loot, but some treasure is better than no treasure. 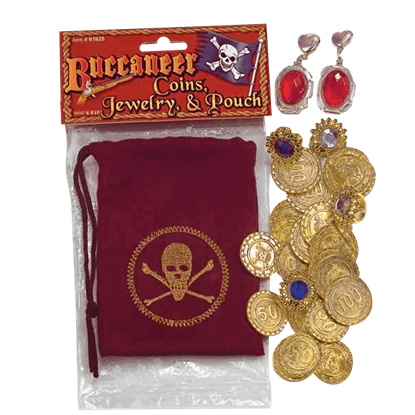 This Buccaneers Treasure Set contains quite the array of loot indeed, featuring gold doubloons aplenty, as well as jewels and elegant jewelry. 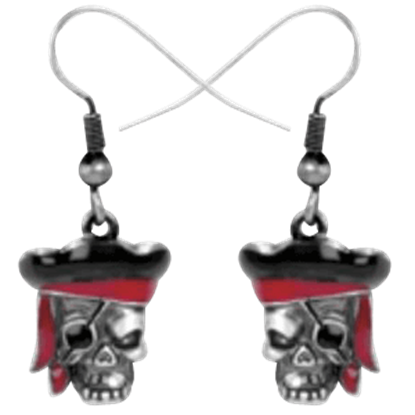 Those days you have spent fantasizing about traveling the world can be channeled into the Pirate Captain Earrings. This dazzling jewelry set is sure to turn heads when you proudly wear them to your next social event. Now you can safely introduce a taste of the outlaws life into your personal look with the dazzling Pirate Dagger Earrings. A set like this is sure to turn heads when you proudly wear them during your next social event. Some pirates believed that piercing your ears with precious metals would make your vision sharper. While there is no guarantee that these Pirate Hoop Earrings will make your sight better, they will make you a sharply dressed pirate. Whether the idea of buried treasure draws your interest or the lure of adventure entices you, you may enjoy the aesthetic appeal of pirates. 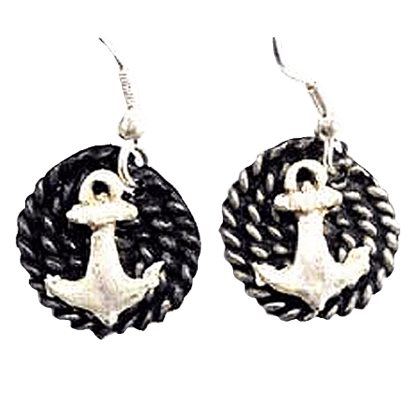 The Pirate Ship Anchor Earrings feature sterling silver anchors entwined with ropes. 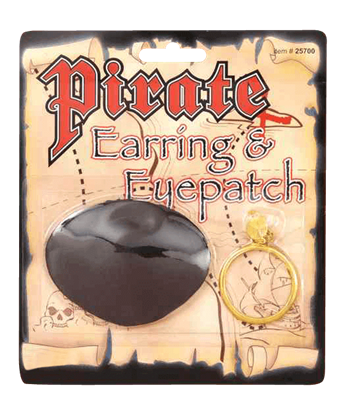 There are two accessories that will make a fantastic compliment to any pirates appearance, no matter his look, and those items are the Pirates Earring and Eye Patch, which help to make your pirate look more stylish and realistic. 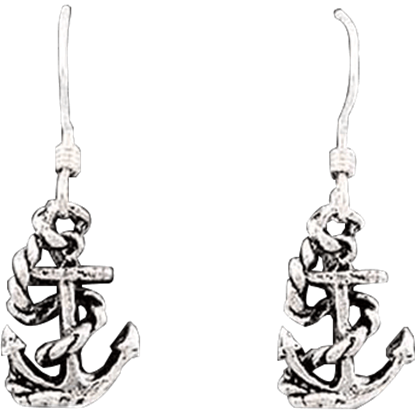 Raise the sails and set a course for ocean adventure while wearing the daring Silver Anchor Earrings. This accent will become a treasured addition to your collection after you confidently wear it to your next social event.